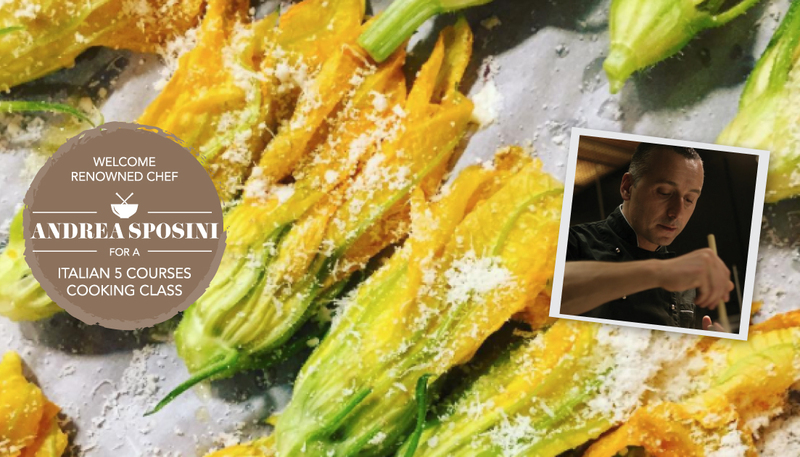 Home › Lezioni di Cucina › ITALIAN 5 COURSES COOKING CLASSES IN ZURICH. ITALIAN 5 COURSES COOKING CLASSES IN ZURICH. Two-day event will be a full immersion in the world of cooking: not only you will learn how to prepare the dishes that you will eat, but Andrea will also give you some cultural and historical background about the recipes. You will experience much more than simply cooking and tasting some food: every dishes will tell a story about Italy and its regions, and you can invite your partner or friend to eat what you have just cooked to add even more value to the event. These four cooking lesson will be held on Friday May 19 and Saturday May 20, 2017 in Zurichand the seats are limited so hurry up and enroll for such an unique experience hands-on Italian soul. Below you will find all the information on the places and schedules for the events: each one will have a different themed menu of five courses, so each one will be a unique experience in Italian cuisine. You will be able to cook and taste some of the finest Italian dishes such as homemade mezzemaniche with squid sauce, olives and caper powder; supreme of braised guinea fowl, zucchetti pesto glaze and baked endive; pork fillet braised in red wine served with cherries and beets; toasted spelt fettuccine with wild mushrooms cream and hazelnut powder and many more. The price is 350 CHF for the cooking lesson and lunch or dinner, and 90 CHF for the joining guest. Both prices includes drinks. To enroll, send an e-mail to info@italianallegria.com, specifying the date, your name and surname, street, place, mobile number and the menu you prefer.